Hello, everyone! 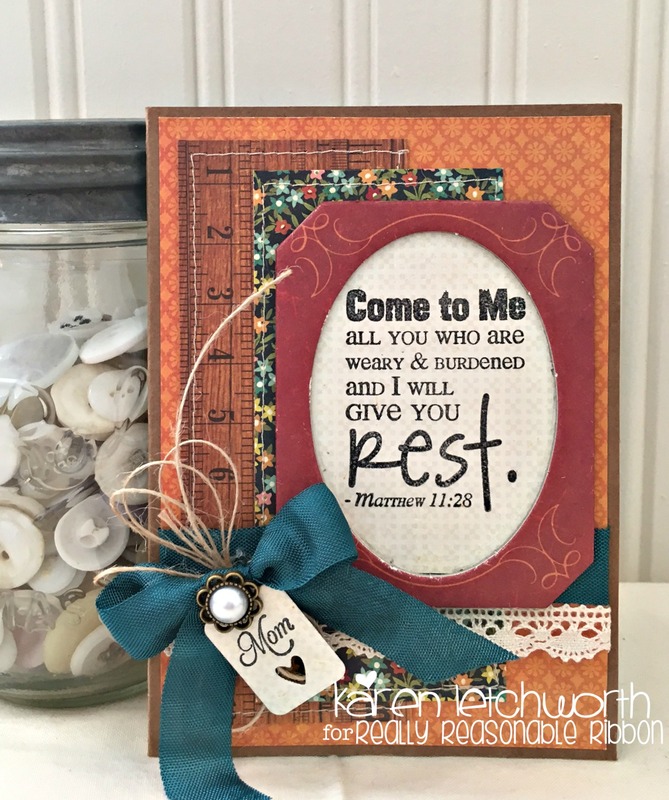 I'm so glad you've stopped by as I share a card I created for our brand new Anything Goes Challenge at Really Reasonable Ribbon. This is the card I made for my Mom's Birthday, and I'm excited to share it with you. Her birthday was on July 28, and I actually got to spend her birthday with her this year. In fact, as you're reading this post; I'm on vacation at my Mom's house. I even get to spend a few days with my BFF before I come home. 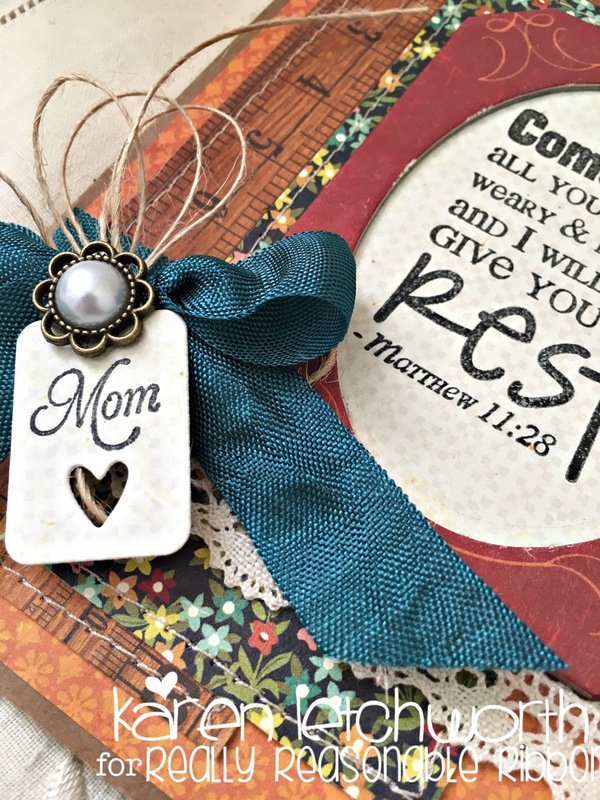 The sentiment I used on this card is Mom's favorite Bible verse, and then I stamped Mom on the little tag. I used a chipboard frame and some patterned papers from the Farmhouse line by Crate Paper, and I machine stitched them. 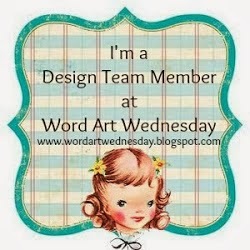 I layered them all onto a kraft card base using a fabulous Adhesive called Scor-Tape to hold them securely in place. This awesome Adhesive comes in several widths, and can be used on pretty much everything. 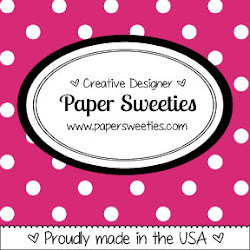 I literally use it all the time.....on pretty much every card I make. You will LOVE it! Once I had all my patterned papers in place, I ran a width of Debra Natural Crochet Lace across my card, and just above that, I ran a width of the gorgeous Noble Peacock Seam Binding. Next, I tied a bow with the Noble Peacock Seam Binding, and topped that with a bundle of Natural Burlap String. I attached a tiny tag (stamped with Mom) and attached it with a gorgeous 14mm White Flower-Shaped Flatback Round Pearl from our awesome Embellishments section. 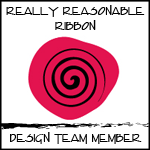 We sure would love to have you play along in this fun new Anything Goes Challenge at Really Reasonable Ribbon. 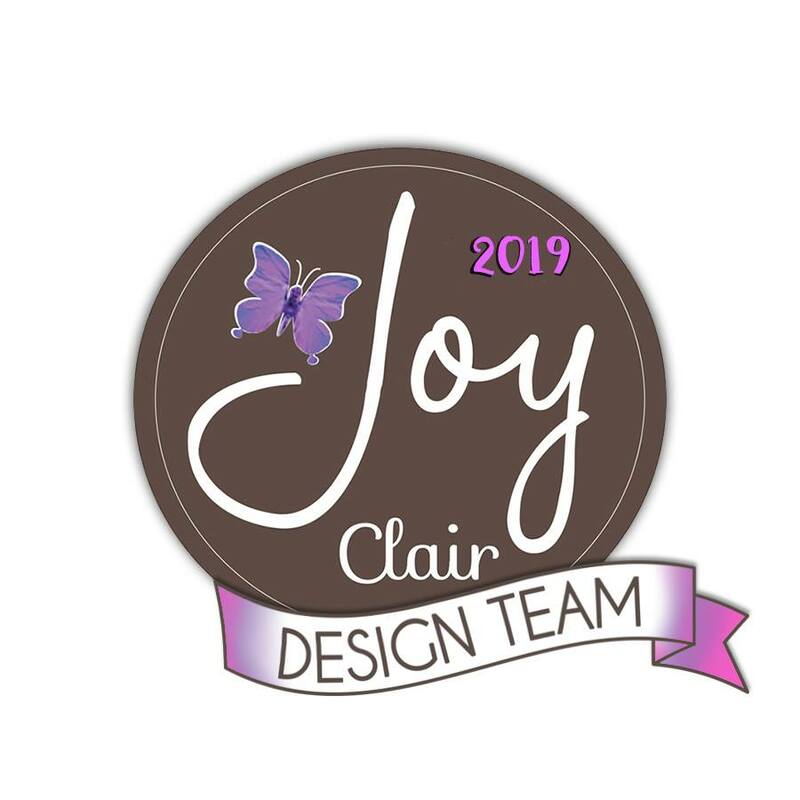 You can linkup ANY project that includes ribbon or trim of some sort. Let your creativity run wild! Really Reasonable Ribbon has so many fabulous ribbons, trims, flowers, embellishments, and SO much more. Come on over to play along with us. 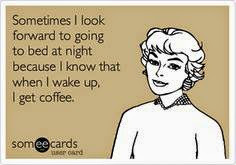 I hope you'll stop by soon and often! What a beautiful card! The rich colors put me in mind of fall - especially since they're paired with that ruler paper! Enjoy your visit with your mom -- hope you have a wonderful time celebrating her birthday! Karen, that is so gorgeous. I'm sure your Mom will love it. That is a beautiful scripture verse and love the tag. Those Crate papers are perfect with that ribbon/twine. Lovely work here Karen - as always! IN awe of your creations as you know - have a blessed week! Beautiful card , your mom must have loved it ! 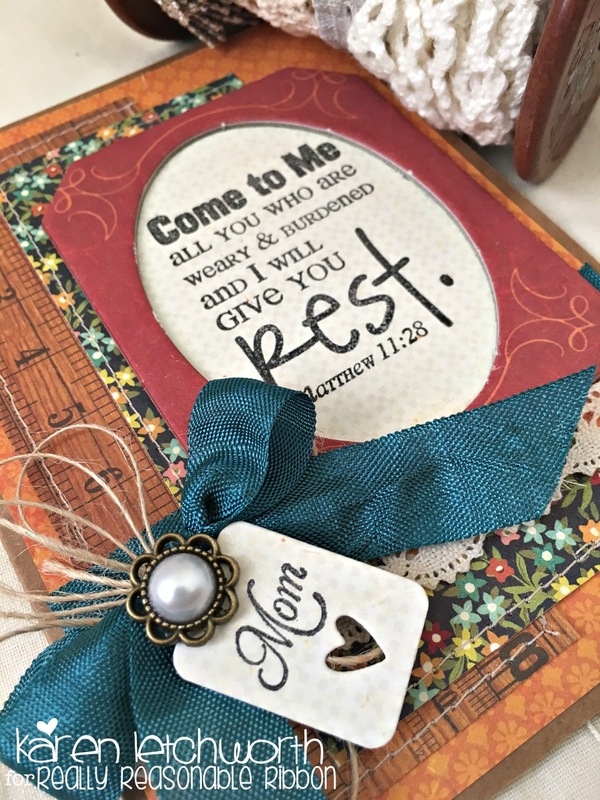 Beautiful card for your mom and i love the verse.